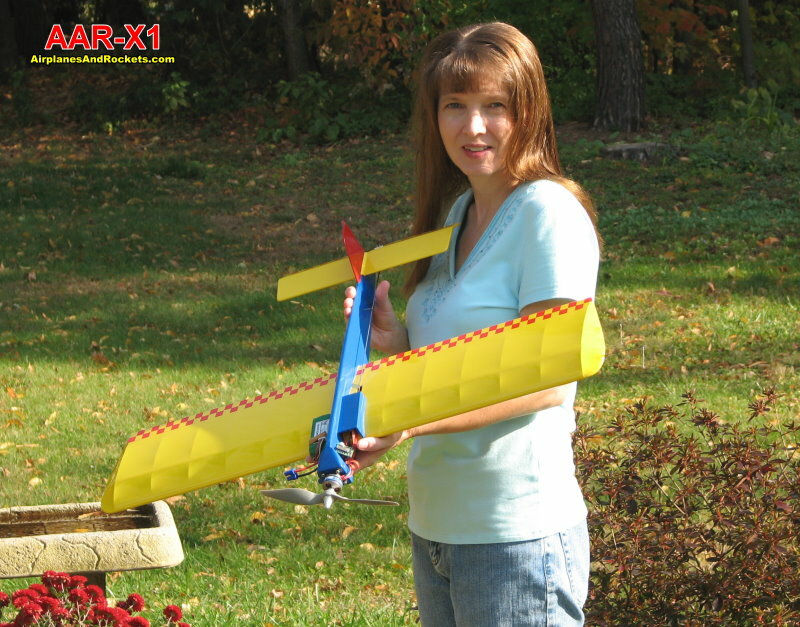 I have designed, built, and have begun test flying an electric-powered control line stunt model that I dubbed the "AAR-X1," which stands for Airplanes and Rockets Experimental #1. It uses an E-flite 380 brushless motor with and 8x6 propeller and a 3-cell, 1,300-mAh LiPo battery. 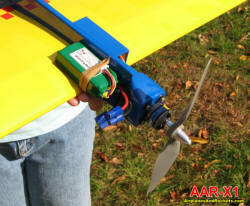 a 30-amp E-flite ESC is used along with a Z TRON model CLT3 controller / timer (a really nice product). 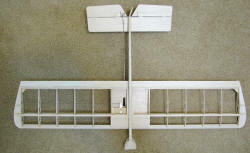 The wingspan is 32". It is covered in MonoKote. 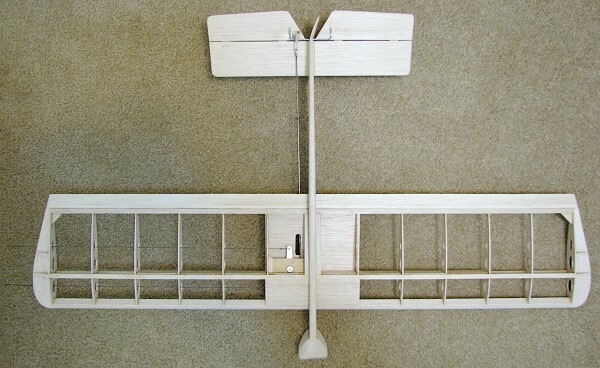 Ready-to-fly weight is 14.7 ounces. The photos below show the construction details. 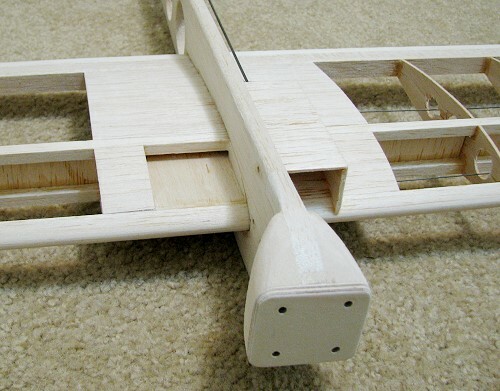 No landing gear is used in order to save weight and keep down drag. That means of course that a launch assistant is required. I might eventually add landing gear so that they launch stooge can be used. 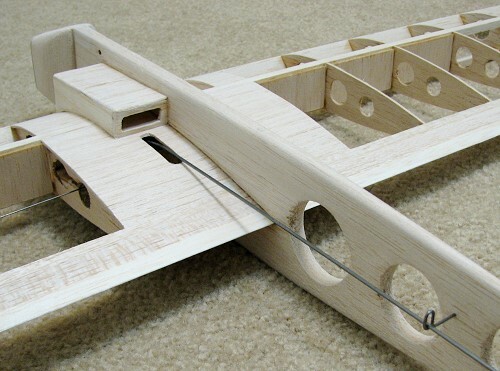 A platform for the LiPo battery is built into the right wing top (held to the fuselage side with rubber bands), and a box for housing the electronic speed control (ESC) is built on top of the left wing panel. There is a ventilation hole in the back of the ESC housing to assure adequate cooling. 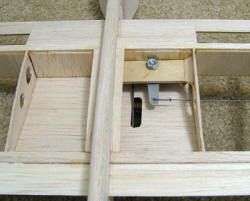 The electronic timer/sequencer is also mounted with the ESC. 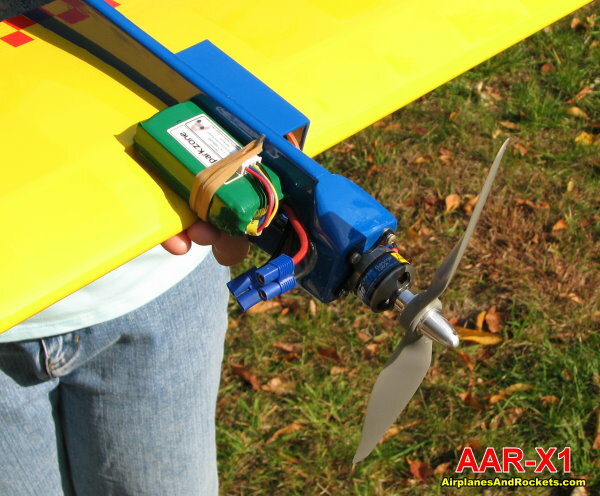 The first few flights showed that the AAR-X1 needs a little more right thrust and a little more right rudder in order to keep the lines tighter. 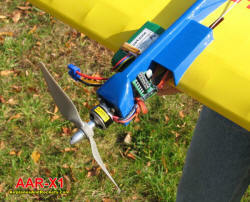 The power is plenty sufficient to vertical flight. As soon as the weather is good, I'll be taking it out for another couple test flights and hope to get some video. Here is a video I made of covering compound curves with Monokote that happens to feature the AAR-X1.